Periodontal Disease is the most common disease among dogs! It affects more than 80% of dogs and cats over 3 years of age! Periodontal Disease is an inflammation and/or infection of the gums and bone around your dog or cat's teeth. It is caused by bacteria that accumulate in the mouth, forming soft plaque that later hardens into tartar. If untreated, periodontal disease can eventually lead to tooth loss and cause other health problems. At Serenity, we have Digital Dental Radiology to allow the doctors to view your pet's dental health below the gumline, & allow more precise treatment of oral disease & diseased teeth. 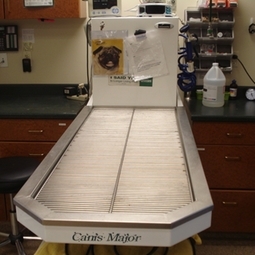 We recommend yearly cleanings on pets over the age of 2 years. We have many products that you can use at home to help prevent plaque and tartar. Call today to make your pets FREE Dental Exam with one of our technicians. They will stage your pets teeth, get an estimate together for you and get you set on the right road to Dental Health for your pet!